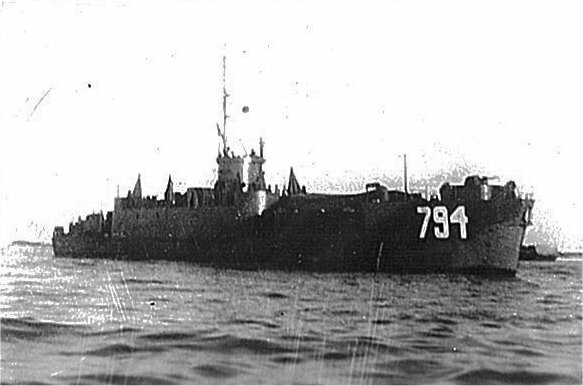 Laid down, 10 July 1944, at New Jersey Shipbuilding Co., Barber, N.J.
37k USS LCI(L)-794 at anchor, date and location unknown. Wanda Longenecker for her father Charles N. Balsinger MoMM3 USS LCI(L)-794. 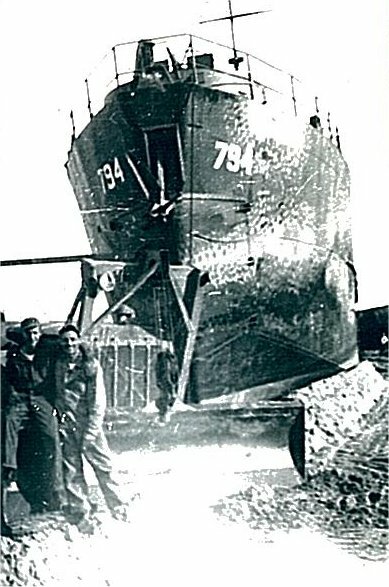 63k USS LCI(L)-794 hauled out of the water, date and location unknown. Wanda Longenecker for her father Charles N. Balsinger MoMM3 USS LCI(L)-794.